Fermentation is popular with both the Paleo and Weston A. Price communities, whether it be sauerkraut or kimchi the benefits of probiotics, in our ever more sanitised world, is more important than ever. 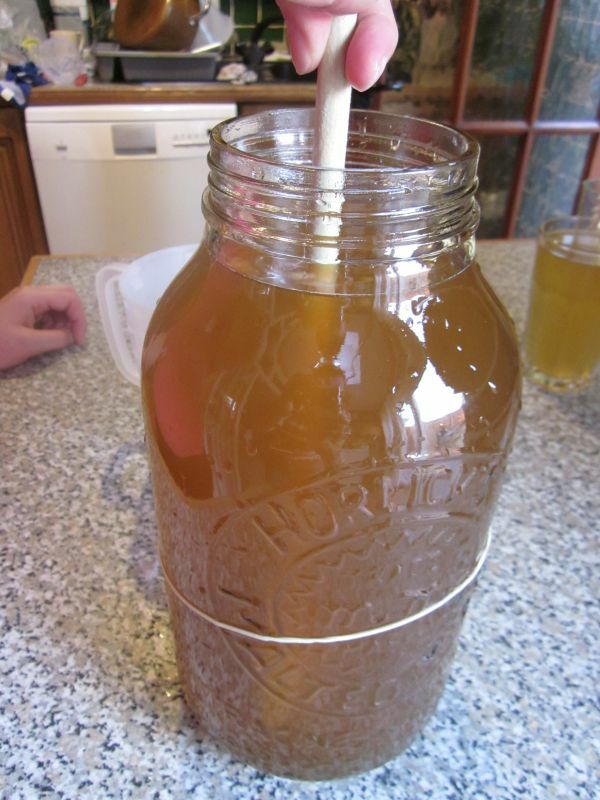 Kombucha, for those of you who don’t know, is a fermented drink made from sweet tea; it has many reported health benefits, including boosting metabolism & digestion – it also tastes great, a bit like cider, and has a very nice natural fizz. Unfortunately kombucha isn’t very popular in the UK so don’t go looking for it in your local supermarket, although you may be able to find it in health shops if you are lucky. The best bet is to look for it online but it can be quite expensive, especially if you are paying for delivery on top. The other option, and by far the cheapest, is to make it yourself for just a few pence per litre. Almost all of the ingredients can be found relatively easily, the one thing that you may have to hunt for is the live culture or scoby that is essential to making kombucha. Scoby is an acronym for ‘Symbiotic Culture Of Bacteria and Yeast’, it is also referred to as a mushroom or mother; it is disk shaped and usually white, although it will darken with age. This is what ‘eats’ the sugar in the sweet tea & creates the carbon dioxide that gives the drink it’s fizz. 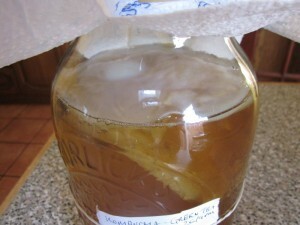 Scobys can be purchased online, for example from happykombucha.co.uk, or they are quite often given away by fellow fermenters – this is because with each batch of kombucha a new scoby is created, with the original scoby also being preserved for future use – it is, therefore, easy for an avid fermenter to build up quite a collection of scobys which they will be happy to pass on. 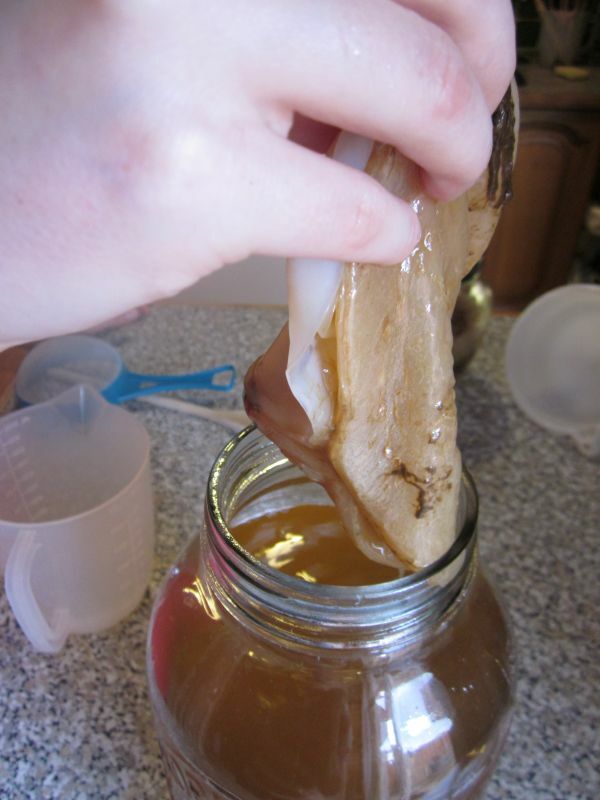 Once you have your scoby, you will need organic white sugar, organic tea (black, green, white, etc, but avoid teas with added oils, such as Earl Grey, as they will not work), mineral or filtered water and some kombucha (bought or from a previous batch) or vinegar. Organic sugar and tea is available from most supermarkets and isn’t expensive – it’s important to use organic as the scoby may be harmed by toxin residue from pesticides in non-organic varieties. 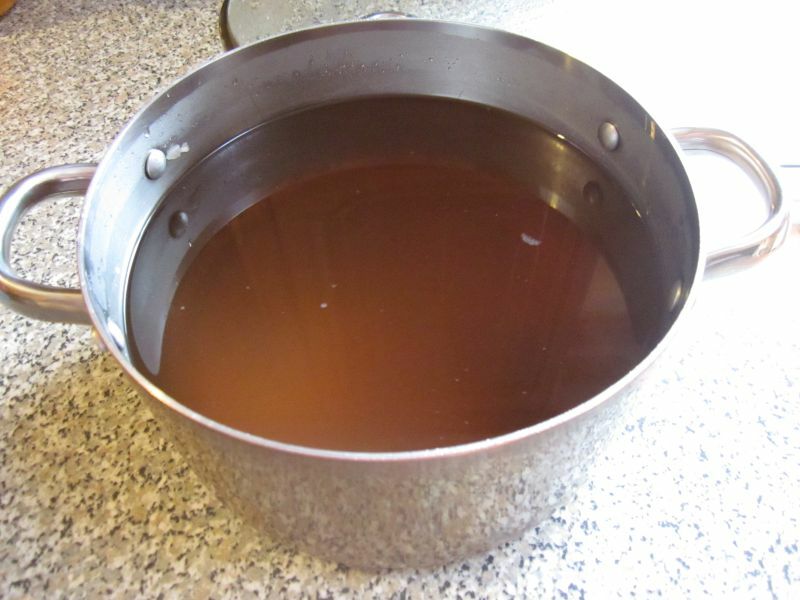 Likewise the fluoride in standard tap water may also harm the scoby so mineral water or (brita) filtered water is essential – if you have access to natural, non-fluridated, high mineral content water that would be perfect. Finally the scoby needs a slightly acidic environment in which to live so the addition of either kombucha or vinegar (white distilled if possible but definitely not raw vinegar as that would interfere with the scoby) is needed, use approximately 10% of the volume of the sweet tea you are using, i.e. 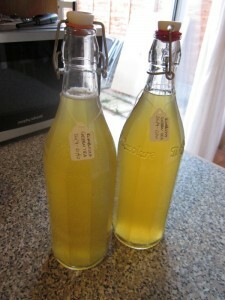 100ml of kombucha or vinegar for every litre of sweet tea. Apparently the first batch made using vinegar may not be the most palletable, if this is the case use this only as starter, subsequent batches will be much better tasting. Once bottled, store in a warm place, out of direct sunlight, to ‘second ferment’ (behind a fridge or a high kitchen shelf would be good choices), this is when the kombucha will become fizzy. Even though the scoby has been removed, fermentation will continue, fill the bottle right to the top as this will help increase the fizziness. It’s also useful to label the bottles, record what type of tea you used and how long the fermentation lasted – this will be useful when deciding what works best for you. When you are ready to drink the kombucha put it in the fridge for a few hours to chill, try not to leave it in the fridge too much in advance of drinking it as this will reduce the fizziness. Here is some sweet tea that I pre-prepared, make this at least 8 hours before you need it so it has time to cool to room temperature, but not too long that it could spoil. For every 2 pints of water use 1/4 cup of sugar and 2 – 3 tea bags. 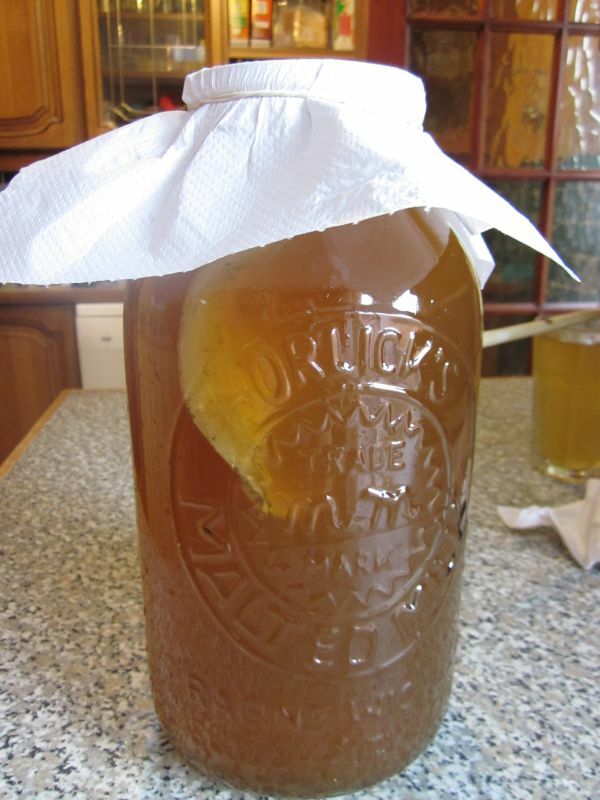 Remember that the sugar is for the scoby to feed off, do not be tempted to use less as it won’t work, the finished kombucha will not contain much sugar. Kombucha should ferment for a minimum of 7 days and up to 1 month, the longer the kombucha is left the more sugar is consumed and the more ‘vinegary’ the taste so be prepared to experiment until you are happy with the balance of flavours. Clean out your fermenting vessel using warm soapy water, avoid anti-bacterial detergent if possible, and fill it with sweetened tea. Use glass if possible as glazed vessels (even sauerkraut crock pots) may conain lead which could be dangerous when making kombucha. Next, add the previously reserved kombucha and stir. Next we add the scoby, clean side up, it may float on the top or sink to the bottom, either is fine! 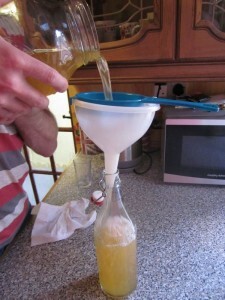 Then place a clean paper towel or some clean thin cloth over the top of the bottle and secure it with an elastic band. You can now leave your kombucha in a warm place, out of direct sunlight, to ferment. Over the course of the fermentation the tea may become cloudy – this is fine! 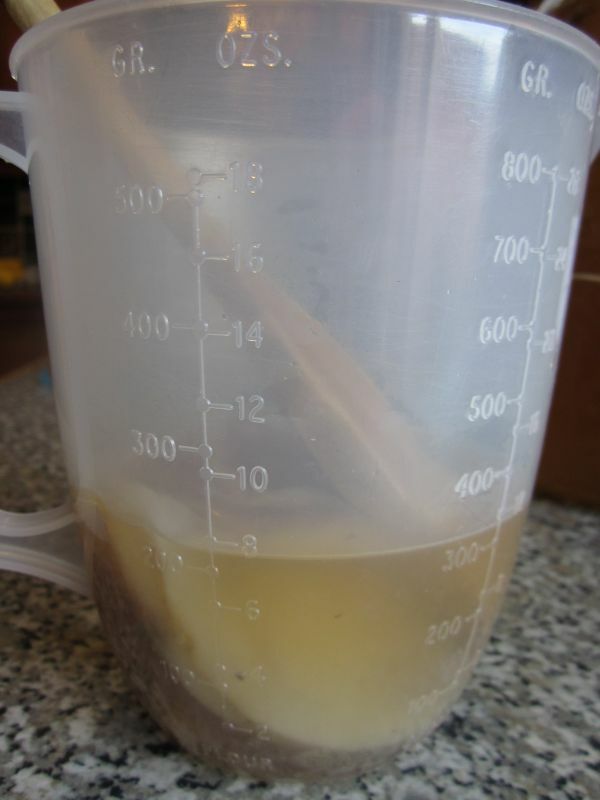 You may also see brown stringy pieces coming from the scoby, this is also fine, in fact it is a sign that the scoby is healthy and doing it’s job. Towards the end of the fermentation you will also probably see air bubbles under the newly formed scoby. The only time you need to worry is if the scoby has any black marks or spots on it or if the kombucha smells off – this could mean that a foreign particle has somehow infected the drink. Also be aware of the potential for cross contamination, do not place fermenting kombucha near a rubbish bin or other fermenting items such as kefir or sauerkraut. There really is no reason why you shouldn’t be enjoying this healthy and tasty drink all year round for very little cost. Please leave me your kombucha making tips below or feel free to ask any questions you may have.